John Connaughton was born on March 15, 1937, in Ohio. He entered the Aviation Cadet Program of the U.S. Air Force on August 17, 1959, and was commissioned a 2d Lt and awarded his pilot wings at Reese AFB, Texas, on November 30, 1960. Lt Connaughton remained at Reese AFB, serving with the 3500th Pilot Training Squadron until January 1961. After complete B-52 Stratofortress Combat Crew Training, he served as a B-52 pilot with the 524th Bomb Squadron at Wurtsmith AFB, Michigan, from April 1961 to February 1966, and then served as a C-130 Hercules pilot with the 18th Troop Carrier Squadron and then the 40th Tactical Airlift Squadron at Lockbourne AFB, Ohio, from February 1966 to August 1967. His next assignment was as an MC-130E Combat Talon I pilot with Detachment 1 (later redesignated the 15th Air Commando Squadron) of the 314th Tactical Airlift Wing at Nha Trang AB, South Vietnam, from August 1967 to September 1968, followed by service as an MC-130E pilot with Detachment 2 of the 1st Special Operations Wing at Pope AFB, North Carolina, from September 1968 to October 1971. During this time, he flew as Copilot aboard the MC-130E "Cherry Two" during the Son Tay Raid, a clandestine mission to rescue American Prisoners of War in North Vietnam on November 21, 1970. Maj Connaughton served as an MC-130E instructor pilot and flight examiner with the 318th and the 8th Special Operations Squadron at Pope AFB and at Hurlburt Field, Florida, from October 1971 to March 1976. LtCol Connaughton served as Chief of the Unconventional Warfare Plans Branch with Headquarters U.S. 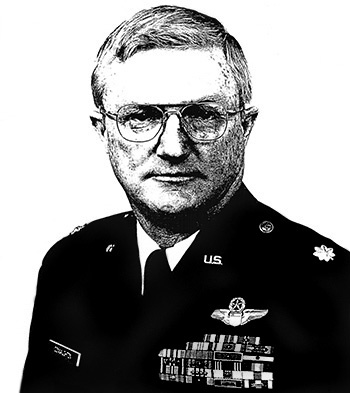 Readiness Command at MacDill AFB, Florida, from April 1979 to March 1982, and as Chief of the Special Operations Division with Detachment 3 of 23rd Air Force at Osan AB, South Korea, from March 1983 to March 1984. His final assignment was at MacDill AFB, where he retired from the Air Force on December 1, 1988. Captain John M. Connaughton distinguished himself by gallantry in connection with military operations against an opposing enemy force during the Prisoner of War search and rescue operation at Son Tay, North Vietnam, on 21 November 1970. On that date, Captain Connaughton participated as Pilot in a combat flight which led the force into Son Tay. Captain Connaughton, through exceptionally precise navigation, overcame adverse weather and extremely active enemy air defenses and insured accurate arrival time over the target which was extremely critical to the success of the mission. Captain Connaughton's unusual ability to quickly adapt to the situation allowed him to supervise the critical drop procedures which materially contributed to the surprise element. 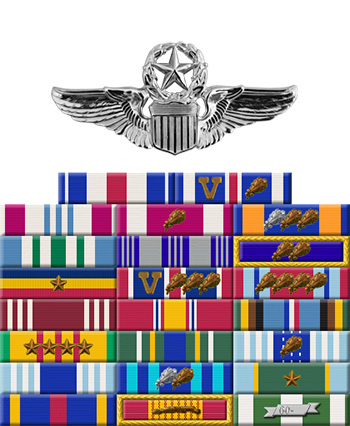 By his exceptional gallantry and extreme devotion to duty, Captain Connaughton has reflected great credit upon himself and the United States Air Force.